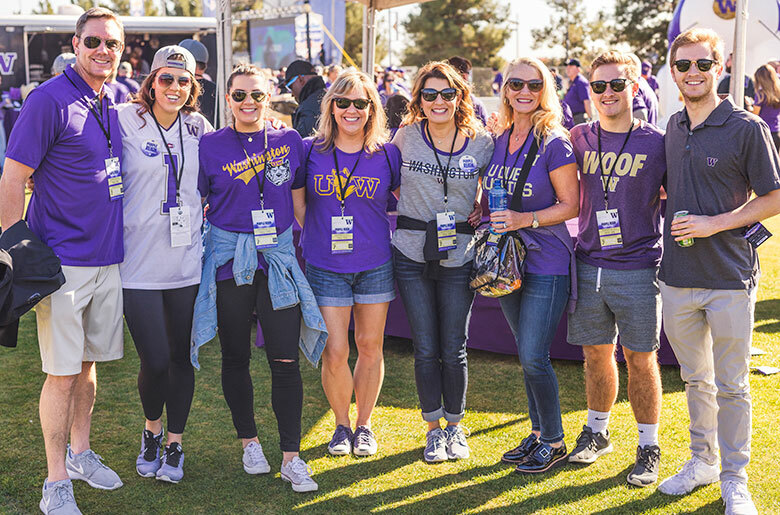 Tues. Jan. 1, 2019 10 a.m.–1 p.m.
Join alumni, friends and fans at the Purple Reign Tailgate at the Rose Bowl Game — the official pregame party of the Washington Huskies. This event is likely to sell out. Advance registration is recommended. 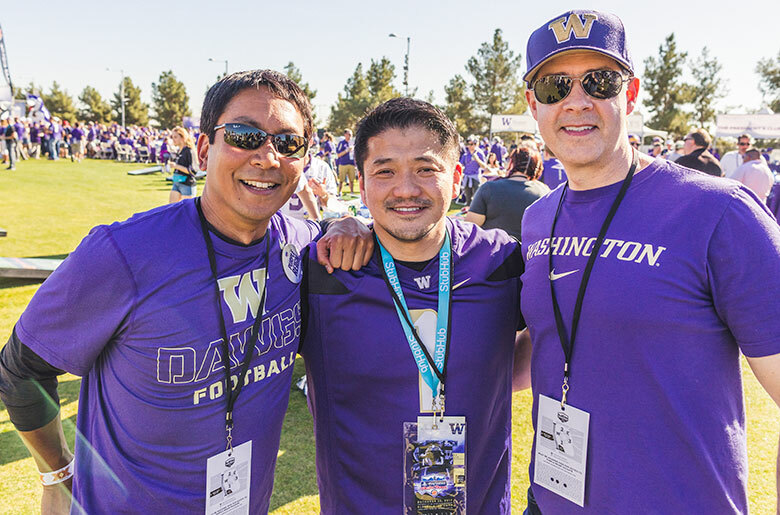 Each registrant will need their Purple Reign Tailgate ticket for entry to the event. Parking: Guests must park in the East or West garage at the LA Live. The East garage is closest to the hotel entrance. There is 15 minute complimentary parking, and a fee will be required after that time. Parking: There is self-parking on the 4th floor of the Hilton garage, which will be complimentary to guests if they tell them they are there to pick up tickets. Valet will be free up to 15 minutes. Street parking is also available (anywhere aside from Colorado Street) for up to 2 hours, if available. If you purchased your ticket before Dec. 14, the ticket should have been mailed to the address you entered when you registered. If you purchased your ticket Dec. 14 or later, you can pick up your ticket at the following locations in the Los Angeles area. Please bring your ID. We strongly recommend picking up your tickets in advance, to avoid long lines on game day. The Brookside Golf Club is located just north of Rose Bowl Stadium, marked by a star on the map. 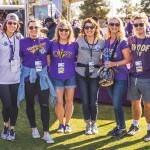 The Purple Reign Tailgate will be held inside the Rose Bowl Game FanFest. To enter FanFest, guests will pass through stadium security, where a clear-bag policy is enforced. 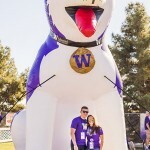 The Purple Reign Tailgate will have a separate ticketed entrance inside FanFest. 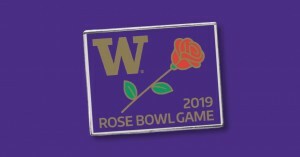 Show your membership card at the UWAA table in the Purple Reign Tailgate to get your commemorative Rose Bowl Game pin. One per member while supplies last. Your ticket includes a wide variety of fully hosted foods and beverages. Including special Purple Reign hot dogs (all beef) with purple apple slaw, or prepared to order with your choice of toppings. Served with kettle-style chips. *Vegan and gluten-free options available. Pulled pork piled high on a soft roll with house-made whiskey barbeque sauce and crispy slaw. *Gluten-free option available. Chips loaded with mouthwatering chicken tinga, pico de gallo and jalapeños. 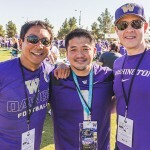 What do tailgate tickets cost? Ticket levels are per person — for example, guests who are UWAA members cannot apply member pricing to nonmember guests that they register. Tickets are nonrefundable after Dec. 14. What are my game-day transportation/parking options? Due to heavy parade and game-day traffic in Pasadena, driving to the Rose Bowl Stadium is very difficult. We strongly advise that you arrive at the stadium before 10 a.m. Parking at the Rose Bowl Stadium is $40 in advance and $60 on game day. Purchase parking in advance here. Parking is limited and will be first come, first served. All Rose Bowl Game parking is coordinated through the Tournament of Roses. Please visit the Tournament of Roses website for more parking details. Light rail, Metrolink trains and free shuttle buses will be available on game day. Visit the Tournament of Roses website for more information. Please note that public transportation will become full following the Rose Parade. The ride-share drop-off zone is on Holly St. between Fair Oaks Ave. and Raymond Ave. From there, you can either take the free Rose Bowl Game shuttle or walk to the stadium (about 1.8 miles). 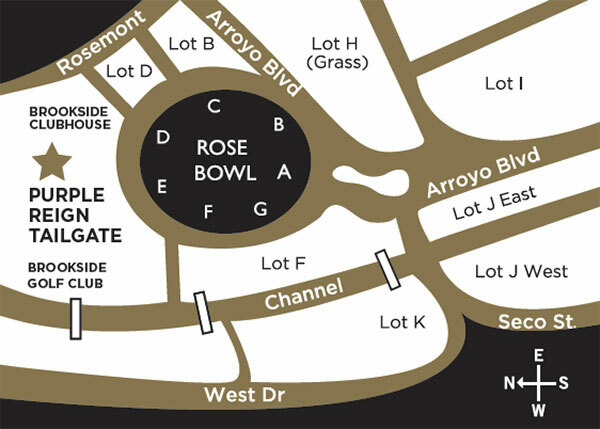 For more information on getting to the Rose Bowl Stadium, visit the Rose Bowl Game Day Guide. What is the stadium bag policy? Please be aware of the stadium’s bag policy at the Rose Bowl Game. Any bags brought to FanFest, the Purple Reign Tailgate or the stadium must comply with this policy. Bags that don’t meet the requirements must be returned to the patron’s vehicle or checked at a designated bag-check area. What other Rose Bowl Game events are happening in the Pasadena area? For a full list of events, including information on the Rose Parade, please visit the Tournament of Roses website. Who do I contact about game tickets? 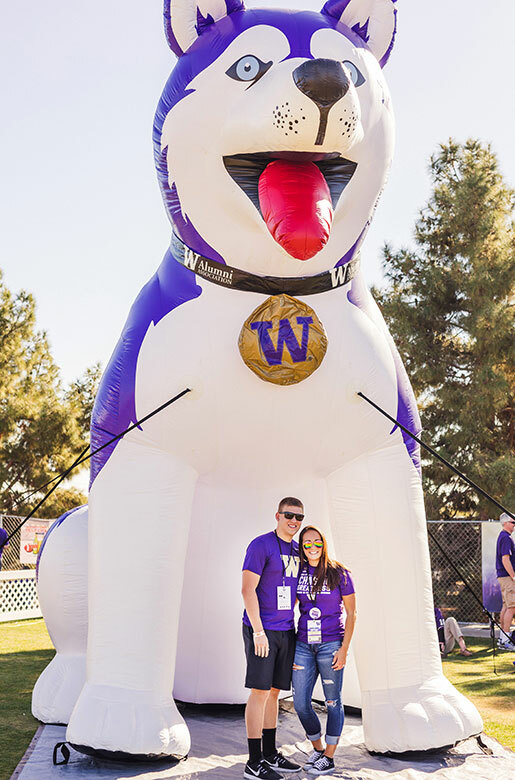 For information or assistance with Rose Bowl Game tickets, please contact the Husky Ticket Office at tickets@uw.edu or 206-543-2200. 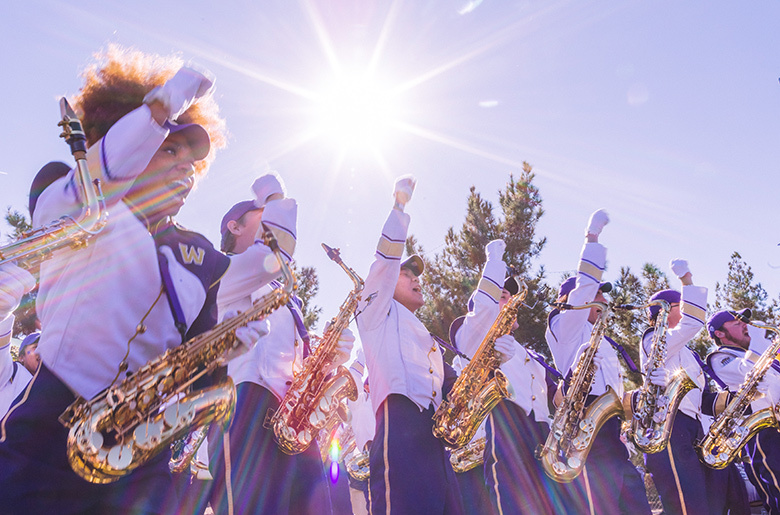 Contact the University of Washington at 206-616-9733 or rsvp@uw.edu. 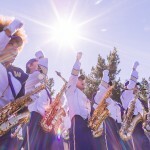 Learn more about the Huskies at the Rose Bowl Game.